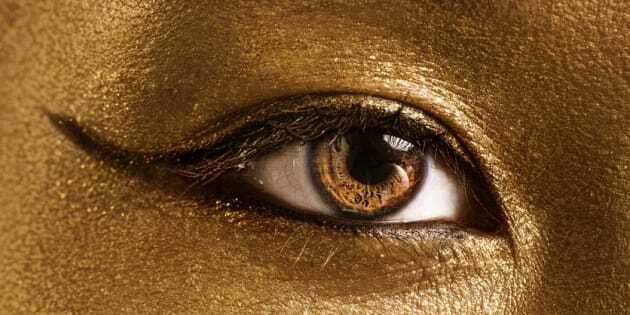 Gold is to be used in eye care soon. Gold is the breakthrough material in a new CSIRO treatment for people with macular degeneration -- and it's to be injected directly into the eye. While the thought of an eye injection is enough to make most of us wince, people with macular degeneration have regular drug injections to slow the disease. Thanks to the properties of gold, however, researchers believe the number of injections could be cut back to a few times a year, instead of every month. Research scientist Johan Sebastian Basuki told The Huffington Post Australia they had essentially created a way to have a 'drug reservoir' inside the eye made out of a special gel, gold nanoparticles and the drug. "Think of it as a depot to release the drug, protein or nutrient on-demand," Basuki told The Huffington Post Australia. "The hydrogel is hardened with the gold nanoparticles suspended within it. "It only takes a few degrees for the gel to warm so when the light hits the gold, it is converted to heat and that is enough and some of the drug or nutrient is released." Once the light stopped shining, the gel hardened again, leaving the drug as is until the next treatment. "The biological activity of the protein after the release is still highly retained," he said. I think the beauty of this system is it's easy to fabricate. You can buy everything from the shelf." He said the technique had been tested on rabbits and further animal model testing was needed until it would be ready for human trials.